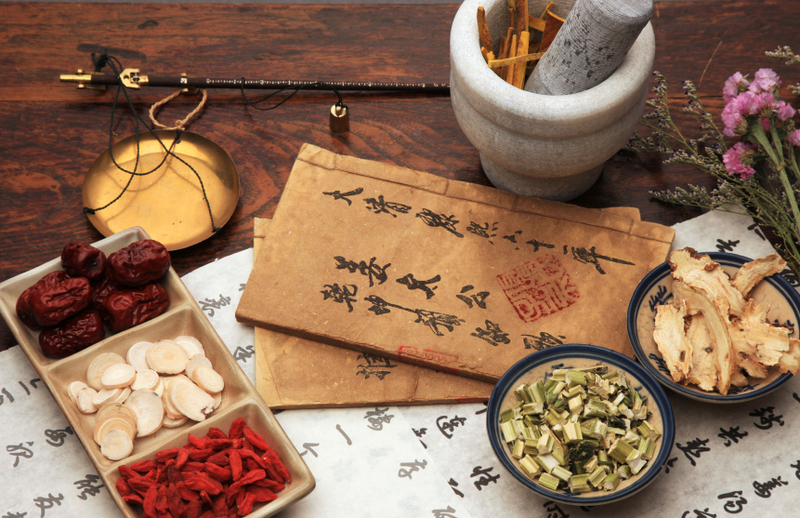 Tradtional Chinese Herbal Therapy is the basis for medicinal therapy in the practice of Traditional Chinese Medicine. Chinese herbal therapy can be used complimentary to acupuncture or as a stand alone therapy in the treatment and prevention of disease. Herbs can come in many different forms; raw, powders, teas, capsules, granules, liquid tinctures and are prescribed to the patient based on the acupuncturist's assesment of the patient's pattern or as it is known in western medicine, the patient's diagnosis. Herbal therapy can be used in the treatment of conditions from the common cold to menopause and headaches. The beauty of an herbal formula is that the ingredients can be modified and taylored to the eliminate the symptoms that the patient is experiencing. Once those specific symptoms are eliminated the formula can than be re-modified until all of the symptoms of the illness have been eliminated and the patient is restored to emotional and physical well being. It is essential and advisable for the patient to notify the acupuncturist of any allergies and current medications that the patient is currently taking for existing medical conditions.